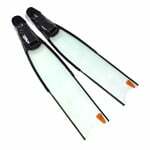 5 Pcs Lot / This is the carbon version of WaterWay's leading custom made - hand crafted monofin. The Glide monofin is one of the most advanced monofins in the world and a carbon blade makes it even lighter and more responsive. 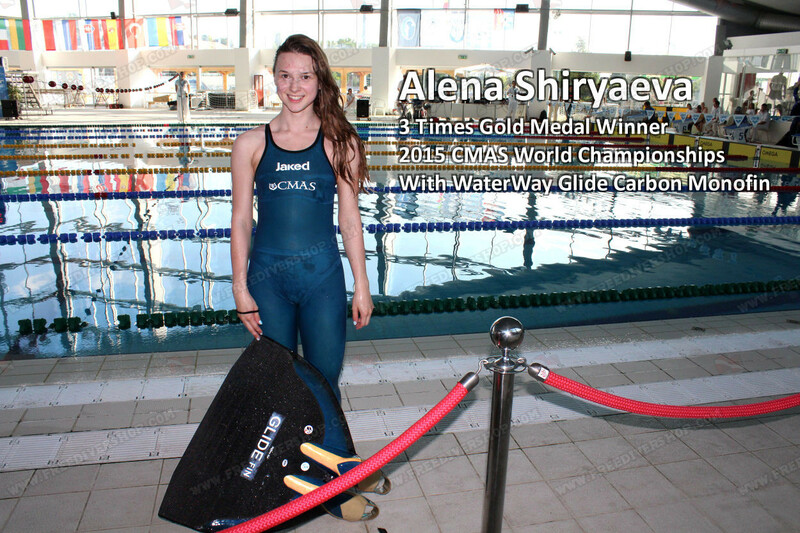 Great for training and competitive finswimming. 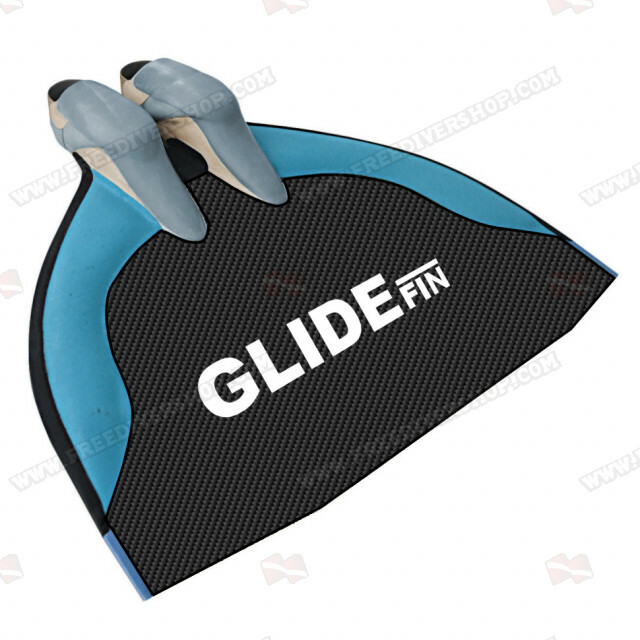 The Glide monofin has revolutionary cast rubber foot pockets that enable optimal grip of the freedivers feet and the best possible energy transfer. 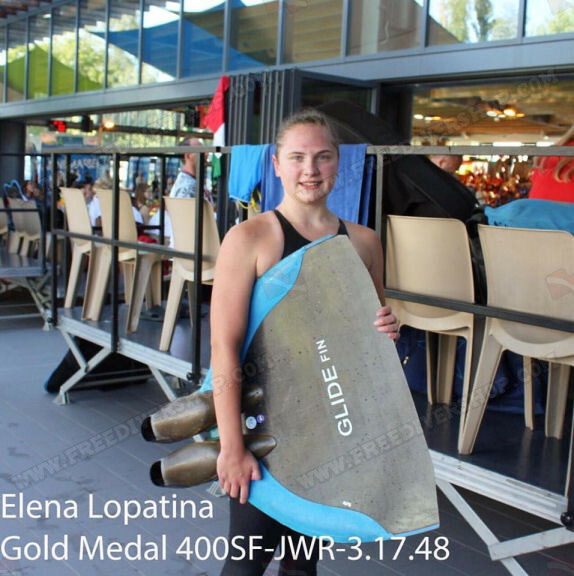 The Glide monofin is used by the top finswimming athletes and world record holders. The Glide monofin is one of the most advanced monofins in the world and a carbon blade makes it even lighter and more responsive. 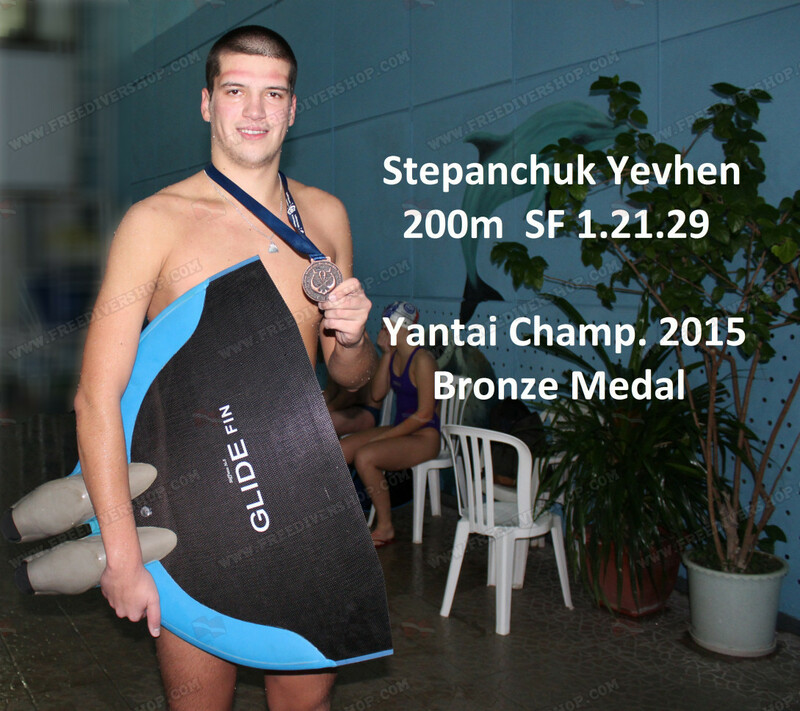 Great for training and competitive finswimming. 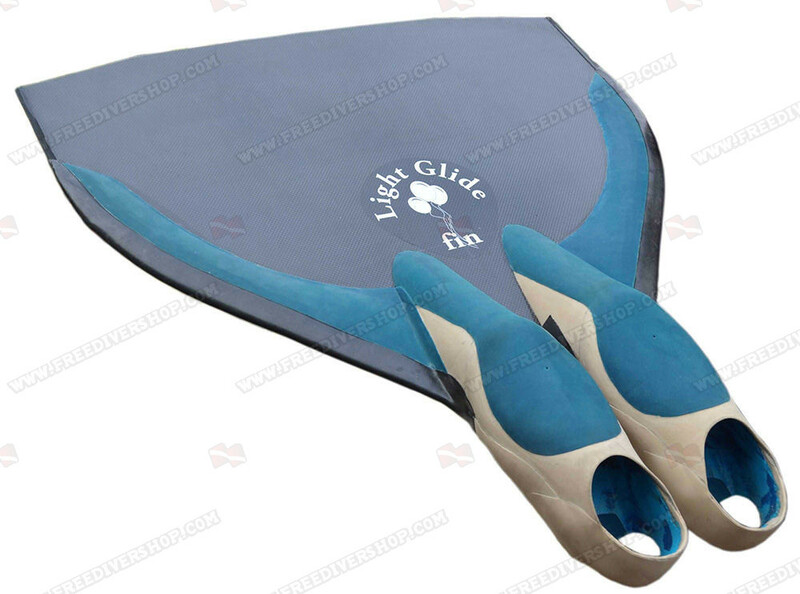 The Glide monofin has revolutionary cast rubber foot pockets that enable optimal grip of the freedivers feet and the best possible energy transfer. 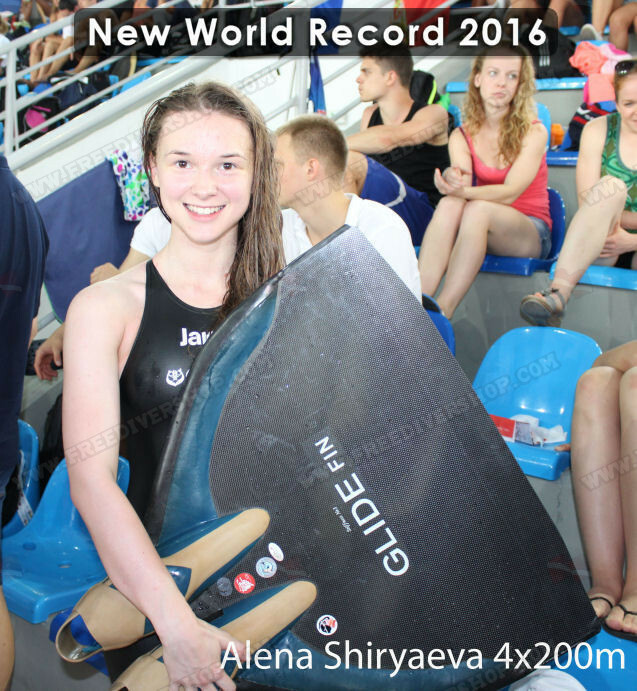 The Glide monofin is used by the top finswimming athletes and world record holders. 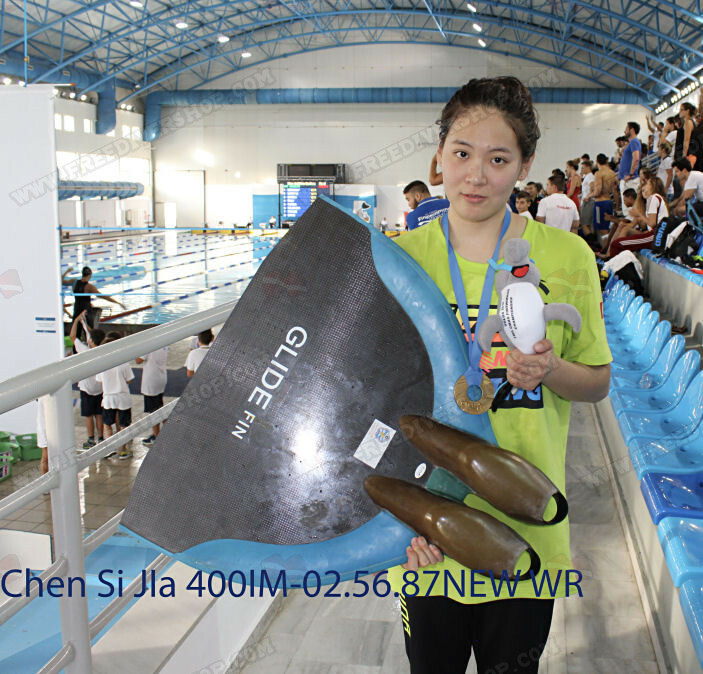 The Glide monofin's blade is covered with a dense neoprene wing, which helps complete the athlete's motion underwater and enables passing a maximal distance with minimal effort. 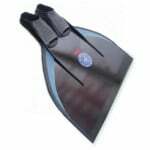 Thanks to the monofin's wing it is positively buoyant at the surface enabling the freediver to rest comfortably in between dives. Buoyancy turns negative at a depth of 5-10m. 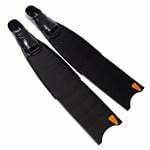 The monofin's blade is made of 100% high end advanced and durable carbon fiber to last for years. 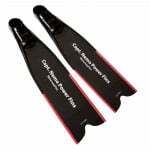 As all WaterWay fin blades the blade is hand polished to ensure optimal streamline behavior underwater. 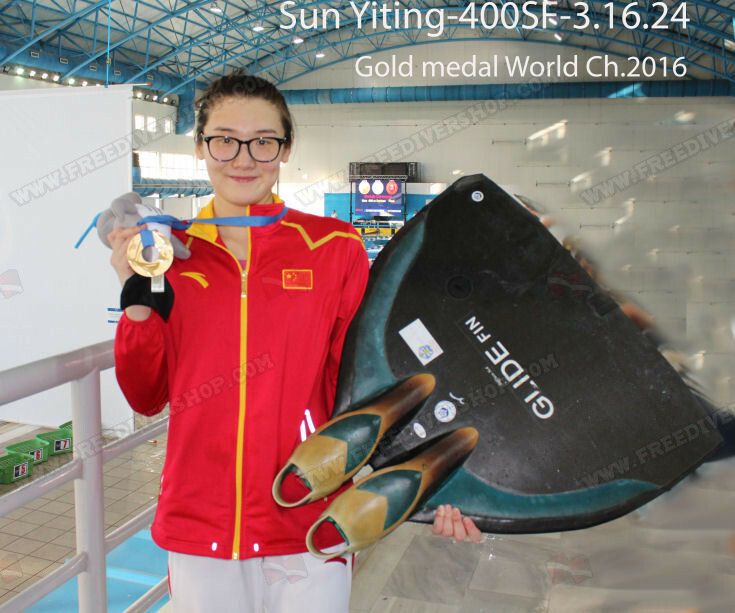 How to correctly measure my foot length and width? In order to correctly measure the length and width of your foot, please follow the measuring guide in the illustration below. 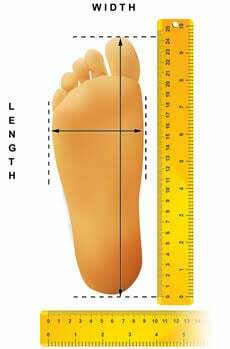 Foot measurements should be made while standing on your feet on a flat surface.